We are excited to announce that Edge Tech Solutions, Inc. has connected with Scripps Mercy Physician Partners to bring an exclusive Managed IT Solutions offering to our members. Every 40 seconds, a company gets hit by a ransomware. How prepared are you to recover? Eliminate the break/fix approach to your IT issues. Edge Tech Solutions, Inc. is a San Diego-based managed IT services and support company committed to providing clients with a full spectrum of managed services to reduce the burden of day-to-day IT management. In the medical field, it is important to ensure that critical IT systems are always available to support core business functions. Secure IT infrastructure requires more than just antivirus and a firewall. Keep your business protected and compliant. Get complete help desk support, remote monitoring, layered security options, on-site and remote services. In dire situations, they specialize in getting your business back up and running quickly. Server and PC management – Edge Tech Solutions, Inc. proactively updates, backs up and manages your computers / servers remotely. Every aspect of the network is closely monitored so issues can be detected ASAP. IT Strategy – Their team helps you plan a strategy that makes sense within your budget, while addressing current and future technology needs. Server Backup Solutions – Edge Tech Solutions, Inc.’s server backup solution uses an easy-to-deploy local appliance that provides local backup, cloud backup, file level restoration, as well as local and cloud server business continuity in the event your server hardware fails. 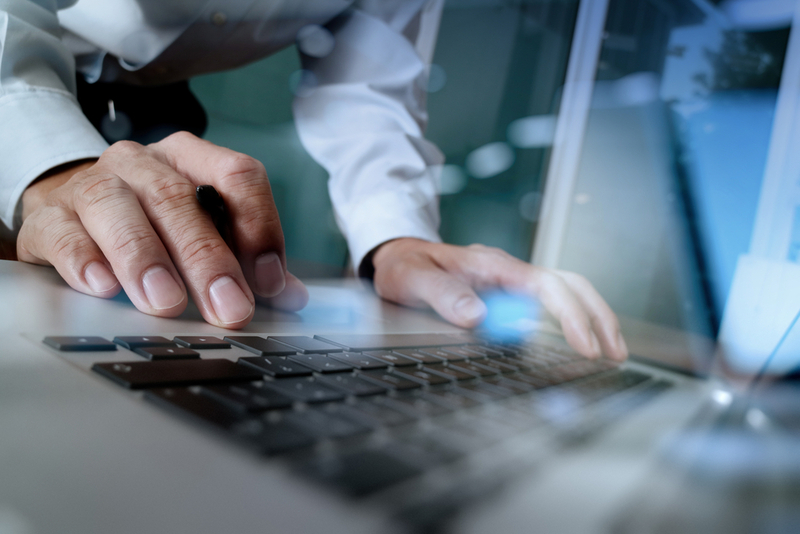 IT Support – Edge Tech Solutions, Inc. can remotely access your organization’s IT systems and initiate remote support to address problems as they arise. When remote support isn’t enough, their engineers are available for onsite visits to evaluate the problem and initiate repairs. These services include after hours and weekends. Vendor Support – Edge Tech Solutions, Inc. has plenty of experience working directly with different EHR and PM vendors. Let them be your first line of defense, and act as your liaison between you and your vendors. HIPAA Compliance Support –Are you protected against cybercrime and ransomware? Edge Tech Solutions Inc. offers HIPAA Risk Analysis, IDS/IPS firewall services with logging, managed endpoint security, disaster recovery planning, offsite compliant backup and more.